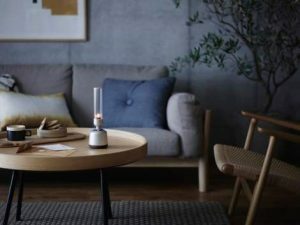 (SINGAPORE, 8 January 2019) – Sony has today announced a new Glass Sound Speaker, the LSPX-S2, a minimalistic and elegant portable home speaker that uses its design to produce stunning sound quality. Get authentic, crystal clear sound that will fill every corner of the room thanks to Sony’s unique Advanced Vertical Drive Technology that makes the speaker reproduce 360-degree sound. 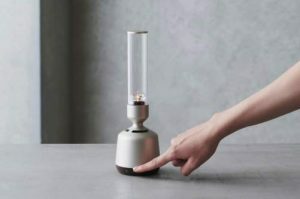 The organic glass body itself vibrates after being tapped by the actuator just under it to spread the sound vertically in a 360-degree direction. The organic glass tube tweeter has a wider surface (compared to conventional speakers) to create crystal clear sound with minimal loss of volume. Additionally, the speaker is Hi-Res Audio compatible which aims at letting you hear the music the way the artist intended. 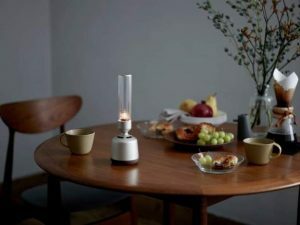 Enhance the atmosphere of your home with the candlelight mode. This illumination sets a relaxing atmosphere to convert your house into a calming space to get away from it all. It couldn’t be simpler to play music on the Glass Sound Speaker. With BLUETOOTH® connectivity you can quickly pair your smartphone to your speaker to kickstart your relaxing retreat. The speaker is also NFC One-Touch compatible for even faster and more convenient pairing. Thanks to the “Push & Play” function, just press the dedicated button on the speaker to stream songs via Spotify Connect1 with no need to go through your phone to access your music. You can also use Wireless Multi-room to connect with up to 10 other compatible Sony audio devices over Wi-Fi. Create a Wireless Multi-room and transform every room into a serene space. The LSPX-S2 Glass Sound Speaker will be available in Singapore at selected Sony Stores, Sony Centres and Sony authorized dealers from May 2019. “Organic glass” is also known as acrylic resin. It is used for windows of buildings, vehicles, lighting covers and sunglasses. Commonly known glass is called “inorganic glass”.